Home/Does My Child Need a Hearing Evaluation? As a parent, it can be difficult to decide whether or not a behavior you observe in your child is something to be concerned about. When it comes to their hearing, loss and difficulty hearing can manifest itself in their behavior. Here are some things to watch for to help you decide if your child should have a hearing evaluation. Your child seems to hear fine some of the time and then not respond at other times. Your child wants the TV or stereo volume louder than other members of the family. Your child says, “what?” often. 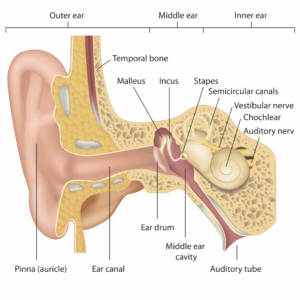 Your child turns so one ear is forward when listening, or he/she complains he/she can only hear out of one side. Your child’s grades fall or their teacher notes that they do not seem to hear or respond as well in the classroom as other children. Your child frequently tell you they didn’t hear you. It appears your child is just not paying attention. Your child starts to speak louder. If your child looks at you intensely when you speak to them, leans forward as if concentrating, they may be depending more on visual cues for interpreting speech. Be aware of their body language when you are speaking to them. You just have a feeling, but you can’t put your finger on what your concern is. Listen to your instincts. Ask your doctor for a referral.